Create this easy vegetable korma curry recipe in just a few simple steps. You can even put your own spin on it! Vegetable korma is one of the most popular curry recipes in the world and chances are that you’ve probably eaten it. However, you have probably tried the takeout korma curry. Instead, why not create your own vegetable korma curry fakeaway? This creamy and flavourful curry carries a subtle sweetness and it is generally known as a mild curry, so you can easily serve it to your children. Also, once you start cooking Indian recipes from scratch, you’ll never go back to takeaways again – guaranteed! There is nothing better than to learn about a complex dish like a vegetable korma via taking an interactive quiz. Well, I’ve got a surprise for you! Just how confident are you on your knowledge when it comes to Indian cooking? Below you’ll find a quiz, so let me know what you score! These all come with tutorials and you can easily create quizzes based on these existing examples. It’s extraordinary just how many companies use Interact to generate leads for their business. Just a few examples of clients with Interact subscriptions include: The Home Depot, Children’s Hospital LA, UNHCR, Greenpeace, and so much more. 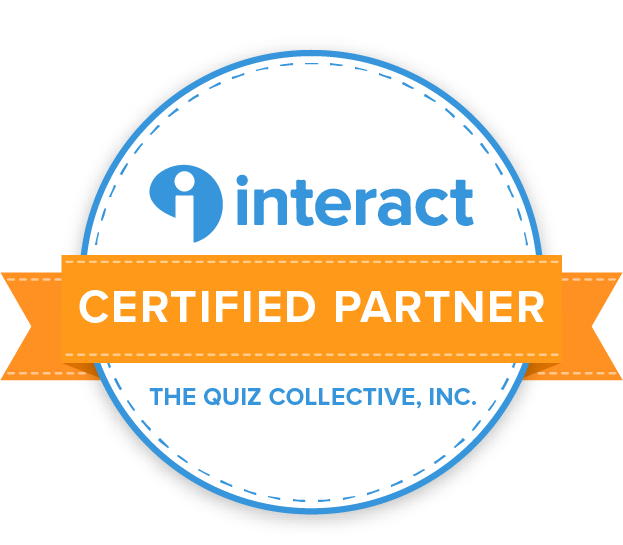 In fact, Interact has over 20,000 clients! Visit this page to found out all about their success stories and how they used the Interact quiz to boost their business by generating leads! The korma curry paste is the integral part of making any vegetable curry. You can either buy a pre-made version in a jar from a supermarket. Or, you can make it from scratch. Whatever you decide, you can learn all about korma curry paste and how to make it from scratch here. Also, if you are curious about all the different types of korma curry pastes available in stores and online, then take a look at this article. You might be wondering, what makes the vegetable korma so deliciously creamy? It’s the cream and yoghurt of course! 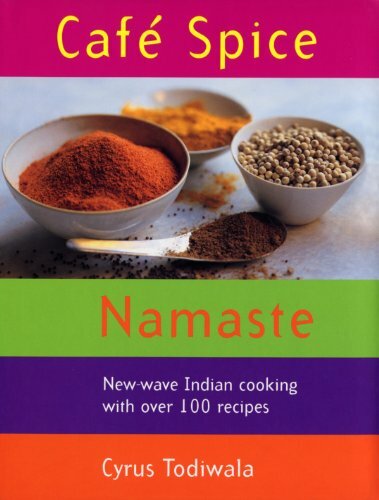 What type of cream to use for a korma curry recipe? You can either use single or double cream (in the UK), although I prefer using the latter because it’ll make the korma curry richer. If you are reading this article beyond our amazing island, and you are somewhere in Europe or the US, then you’ll need to look for a cream with a percentage of at least 30%. Even better if you find 38% and higher! The higher percentage creams can be used as whipping cream. It’s these types of cream that add a rich and creamy flavor to the dish. Do not use creme fraiche; combined with yogurt, it will make your vegetable korma curry sauce too sour! When you add the cream into the vegetable korma, you’ll need to take a bit of caution! These types of recipes are a bit fragile when it comes to adding the cream or yoghurt because we like to simmer them on high heat. If you add the cream into the pot while the vegetable korma is simmering away, then you’ll soon noting white spots all over the curry. This means that your cream and curry have split! Trust me, you’ll want to avoid this happening to you at all costs. So, the trick here is to fry the vegetable korma curry ingredients along with the curry paste. Then, take it off the heat for at least three to five minutes so it has a chance to cool down. Once cool, slowly pour in the cream in small batches and mix well with the rest of the ingredients. Next, once you complete this step, slowly turn the heat back on, but never let it simmer uncontrollably. Otherwise, you’ll still risk the curry and cream splitting. Just keep it on moderate heat and stir occasionally. Are you currently in the process of converting to veganism? Or, are you consciously trying to eat healthier and more sustainably? Congratulations! I am undertaking a vegetarian journey and I am slowly giving up meat step-by-step. You can read about my vegetarian conversion process – so far my methods have been proving successful. Nonetheless, vegetable korma is a very versatile recipe that can easily be turned vegan! Instead of using cream, as a substitute use coconut milk! You can add any type of vegetables into the korma curry. I like to add green beans for a bit of crunch, slices of onions, carrots, broccoli and baby potatoes. I like to add the potatoes at the end so they hold their texture in the curry sauce. Otherwise, the starches will get released into the sauce and it might become grainy. You’ll need to source waxy potatoes! Simply put, you can make the vegetable korma curry completely your own. So, what does you version of the vegetable korma curry look like? I recommend making the korma curry sauce in a large batch so that you can make multiple version of the korma. Practically, you can pair the korma curry with any type of produce such as beef, lamb, tofu, chicken, prawns, fish, etc. However, my favourite korma curry recipe has to be either the prawn korma or the chicken korma – the two absolute classics. Definitely check them out! Also, make sure you also look for pairing the korma curry with an Indian vegetable side and a refreshing Indian dip. This week one lucky reader can win A bottle of Belaire’s signature Belaire Rosé and a gift box of the brand’s delicious new Belaire lollipops designed to complement the flavor of the wine. Each bottle of Belaire Rosé is born in southeastern France’s Provence-Alpes-Côte d’Azur region and handcrafted from a blend of three grapes: Grenache, Cinsault and Syrah. Aromas of fresh strawberry and blackcurrant, an elegant effervescence, and a striking deep pink color combine to make Belaire Rosé a uniquely exquisite experience, with a perfect harmony of aroma, taste, body, and finish. Our unique black glass bottle, with timeless painted décor, is instantly recognizable around the world. The range of delicious lollipops are designed to complement the flavors of each of Belaire’s flagship cuvées. The Rosé, Gold and Luxe suckers have exquisite flavors that pair perfectly with our wine. · The Rosé Lollipop has flavors of strawberry, blackcurrant and blueberry · The Gold Lollipop is a blend of white raspberry and honeysuckle · The Luxe Lollipop has Pomegranate and peach flavors Each of the ‘pops are designed to offer fans a new taste experience. Competition Question: What is your favourite vegetarian Indian dish? Do you love vegetable korma curry but you’ve never made your own? Find out all there is to know about this recipe and test yourself with a quiz! Enjoy! Add the paste, stir well and let it simmer for a few minutes to release the flavours. Add the cauliflower and green beans. Stir well, place a lid on the pan and let it gently cook for 5 minutes. Next, add the sweetcorn, peas, coconut milk and sugar. Stir thoroughly and let the curry slowly bubble away for about 10 minutes or until the vegetables are cooked. Serve immediately with plain rice. Made too much? This dish freezes well! Don’t be afraid to experiment with other vegetables as well, such as potato, sweet potato mushrooms, etc. I didn’t have one until now but I love the look of your Vegetable Korma. I love pakora and popadoms with lots of dips. Sweet potato, okra and chickpea curry.